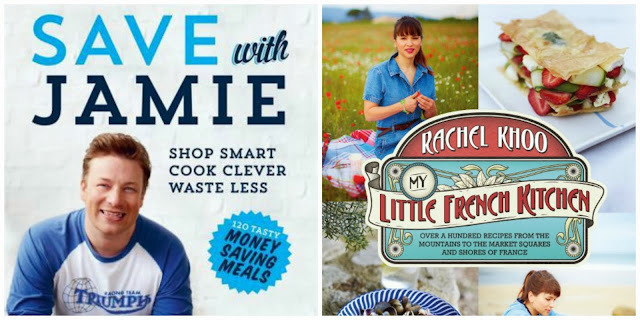 For my fourth giveaway I have 2 copies of Save with Jamie and 2 copies of Little French Kitchen. 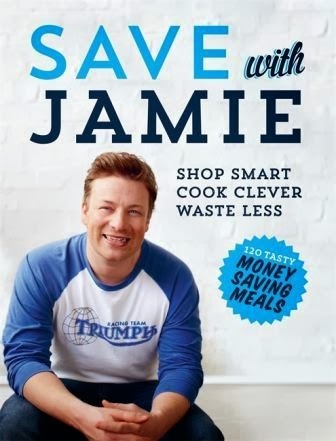 "Save with Jamie draws on knowledge and cooking skills to help you make better choices, showing you how to buy economically and efficiently, get the most out of your ingredients, save time and prevent food waste. And there's no compromise - I'm talking big flavours, comfort food that makes you happy, and colourful, optimistic dishes. Our biggest luxury is knowledge, whether times are hard or not, so get kitchen smart and smash the recession." "Taking her 'Little Paris Kitchen' on tour in her second official book, Rachel is leaving the capital city to travel to the four corners of France in search of the very best recipes in the country. From the snow-topped mountains and Christmas markets of Alsace to the winemaking region of the Bordeaux, the dreamy vistas of Provence and the well-stocked larders of Brittany and Normandy, Rachel seeks inspiration in some of the best-known foodie places as well as uncovering hidden insights, all ready to share with you. Recipes include: pork and clams with cider and butter beans, spicy aubergine sticks with couscous, baked figs with walnuts, beer-glazed ham hock, caramelized apple bake and spiced almond biscuits." If you would like to win both of these cookbooks just leave me a comment and enter using the rafllecopter box below. 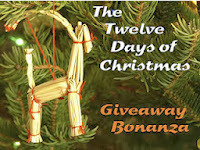 This giveaway is UK only and runs until 26 December 2013. The winner will be announced on the 27th December 2013. Taking her 'Little Paris Kitchen' on tour, Rachel is leaving the capital city to travel to the four corners of France in search of the very best recipes the country has to offer. From the snow-topped mountains and Christmas markets of Alsace to the winemaking region of the Dordogne, the dreamy vistas of Provence and the well-stocked larders of Brittany and Normandy, Rachel visits some of the best-known foodie places as well as uncovering some hidden gems to share with you. Recipes include: pork and clams with cider and butter beans, spicy aubergine sticks with couscous, baked figs with walnuts, beer-glazed ham hock, caramelized apple bake and spiced almond biscuits. Disclosure: Penguin Books are providing a set of two books for two lucky readers. I was not required to write a positive review and any opinions expressed are my own. Great giveaway. I love French cooking. Lovely, thank you! I borrowed Jamie from the library (the book, not him!) and it's a great book. Lots of good ideas and recipes. These would be amazingly handy in our house, being a family of four cooking and money are a struggle sometimes!! What a great prize - I need more ideas for good meals to make. The Jamie book looks good. I passed the famous Rawmarsh school today - ah Jamie...Rotherham loves you! I love looking for inspiration in new cook books. Great prize, I love cook books! 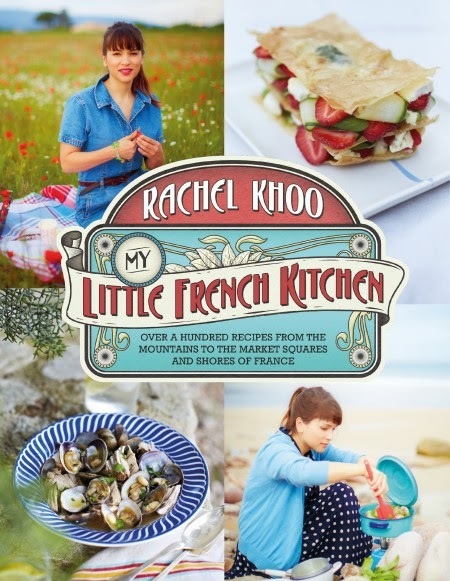 I've loved Rachel Khoo's recipes and would love to try them! You've actually managed to source two recipe books that I haven't got! I could really do with some new ideas in the kitchen. Want the french cookbook, liked the first one. Great prize. One of my resolutions for next year is to discover a few new dinner recipes. I've had these on my wishlist for ages! Thanks for the chance to win some early Christmas presents! Love Jamie's ethos of healthy eating for kids and now saving money too. I've had these on my list for a while! Would like both these books. Two great books to see you into 2014 with some great new recipes. Love the look of those, have far too many recipe books already, but I do love collecting them! I love cookbooks and have a bookshelf just for them. These two look pretty decent. Do I really need more cookbooks? Probably not, but I always love getting new ones. I love Jamie and Rachel !! There was a goat was a lonely goat yodelay yodelay yodelay hee hoo. Two great books - Love Rachel Khoo. These are two I don't have in my collection... so would be great to win. Love cooking but really need new inspiration. These would definitely help! Really need to up my game now i am retired and would be glad of inspiration. can never have too many cookbooks! can never have too many cook books! Be good to have Jamie's book, I need to save my pennies as spend too much on food!! I'd love to have the Rachel Khoo book. Not tried Rachel Khoo's recipes but love Jamie Oliver's, thanks. Two of my fave tv cooks, finally someone who has a smaller kitchen than mine, poor Rachael! Love cooking so this would be a great prize! thanks for the comp - love trying new recipes! I'm always interested in new cook books especially when they can help me save money and waste less or expand my repertoire of meals. Jamie Oliver is usually reliable for really tasty recipes. These both look great. Fingers crossed - would love this prize! Just been watching Jamies Christmas programs and really looking forward to the festive season. They both sound so useful - especially Jamie's! Both of these books are on my Christmas list! Too good books, both on my to read list lol. Two books I'd love and don't have! Ooh! I love My Little French Kitchen - wish I had a Kitchen like that! Also, saving with jamie is the way to go I think. Wish I win these books!!!! I love cookbooks full stop! Though I may need a new shelf for them! I'm always very happy to add to my cookery book collection. Jamie's book would be very useful for my older daughter when she goes to Uni. I'd love the French cookery one for me to try out with my younger daughter. I love the Little French Kitchen, she always seemed to bring something fresh to the table. Anything to improve my cooking! I love both cookbooks! I won't lie....I am dutch but my son lives in London so I vistit regular and I love your blog too! Love the cookbooks but Rachel is a star! i deff need help with cooking! Always happy to add to our shelf of cookbooks.